New Hope for Children has created a partnership in Managua, Nicaragua to provide loving homes for deserving infants and children through inter-country adoption. Directors, Alisa and Tim Karwowski, have traveled to Managua and have created a team of adoption professionals in-country. New Hope has attorneys, facilitators, drivers and translators for adoptive parents to work directly with while traveling. We are honored to have been given this opportunity to create or expand your family through international adoption and we are grateful to have developed professional and personal relationships with the people you will be working directly with throughout your adoption journey. Nicaragua is nestled between the coast of The Pacific Ocean and the Caribbean Sea to the east. New Hope has in-country offices in Managua, the capital city of Nicaragua. The international airport is in close proximity to our offices. The primary language spoken is Spanish while there are other tribal languages spoken, most widely, English Creole. Nicaragua has a rainy season that begins in June and can last into October. Thus making November one of the most popular times to visit the country. December through May is considered the dry season. The oceans draw surfers from around the globe and is the site for many professional surfing competitions and videos. The people of Nicaragua are incredibly friendly and gracious. A predominantly Catholic country, Nicaragua does not look favorably upon unwed mothers thus creating the belief that a child can be given the chance for a better life if they are placed in the many orphanages and ultimately adopted, internationally. Children are usually three years old to teens. There are sibling groups and often a sibling group can include an infant. Both boys and girls are in need of families; adopting parents may request a specific gender. The orphanage and foster care system in Nicaragua does provide proper nutrition and the children are afforded medical care. Children are generally healthy and you will be able to access all known medical history and concerns, if any, at the time of referral. 1. Contact New Hope for Children to serve as your Primary Provider for your adoption. 2. Complete an international home study for adopting in Nicaragua. 4. Apply to Nicaragua’s authorities to adopt and be matched with a child. 5. Adopt the Child in Nicaragua. 6. Apply for your child to be found eligible to Immigrate to the United States as an Orphan (Form I-600). Once you have received your U.S. Immigrant Visa for your child, you will travel home. Your child will gain his/her US Citizenship at the port of entry into the United States. 8. Readopt your child in your state of residency which will generate a US birth certificate. 9. Apply for a social security number for your child. 10. Complete all post adoption reports. Have an approved I-600A or I-600 form. Age of Adopting Parents: Prospective adoptive parent(s) must be between 24 and 55 years of age and have a minimum 15-year age difference between the child and the adoptive parents. However, the Ministry of the Family has been known to be flexible on these requirements on a case-by-case basis. Marriage: Nicaragua currently only permits married heterosexual couples to adopt. Income: While Nicaragua’s family law does not specify a particular minimum income requirement, it does say that prospective adoptive parents need to present a job letter as evidence of their income, as well as savings account records or property titles, if they have any. Information provided by: State Department, USCIS, Inter-country Adoption. Prospective parents can expect the fee for their international adoption in Nicaragua to cost around $24,000. Parents can expect to have additional fees associated with the home study, I-600 and I-600A and travel costs for one trip to Nicaragua, which will include an in-country fostering period. Fostering periods are generally three to five months in length. There are additional fees for adopting each sibling. In the event of an interruption of an adoption plan that is not within the control of the adoptive parents, fees already paid will be applied to another adoption whenever circumstances allow. You may be eligible for a federal tax credits for some or all of your adoption fees. Tax credits can be as high as $13,400. Consult your tax professional to determine your eligibility. New Hope for Children has in-country attorneys and adoption facilitators who work directly with Mi Familia on the referral of your child. 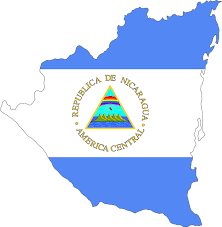 Nicaragua has an in-country fostering period of, on average, three to sometimes five months. Adopting parents arrive in country and bring their child from the orphanage to where they will be staying. New Hope can has realtors as well as travel agents in Managua that can make reservations for you and your family based on your needs. It is very important to recognize the transition your child is going through during this time in their young lives. While the orphanage conditions seem poor, the children are loved by their caretakers and their little friends are all they know. Remaining in Nicaragua while they are given the time to bond with their forever families will allow for them to feel more comfortable as they can still eat the food they are used to, hear the same language they are familiar with and take this time of transition more slowly. The fostering period provides for a wonderful opportunity for adopting parents to bond with their new child absent the distractions of work, and other commitments from home. During your fostering period, social workers will visit with you to ensure things are going well and will also be a support to you and your family while you are in country. During these weeks, we also encourage families to visit as much of the country of their child’s origin in an effort to have a more thorough understanding of your child’s birthplace, culture and heritage. New Hope directors have adopted all of their children, two sons, internationally and their daughter, domestically. We have been in your shoes and feel privileged to walk alongside and support you through your adoption journey.